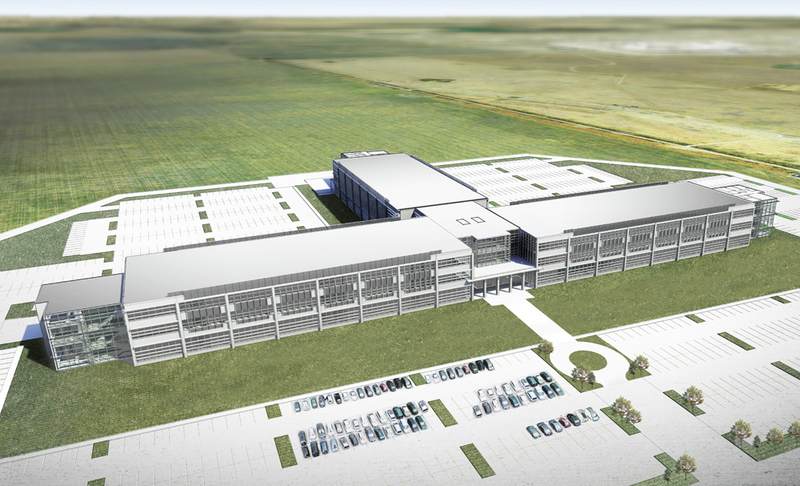 Conceptual design of planned Administrative Support Complex at the Pantex nuclear weapons plant in Texas. Construction is expected to begin in August. Lawler-Wood LLC of Knoxville will develop a new 342,000-square-foot administative complex at the Pantex nuclear weapons plant under a private-financing arrangement similar to what was used for two facilities — New Hope Center and Jack Case Center — at Y-12 in Oak Ridge. Wayne Roquemore, president of Lawler-Wood, said the complex will be built on property that’s adjacent to Pantex and currently owned by Texas Tech University. The land will be purchased from the university, he said. Once developed by Lawler-Wood, with financing via Panhandle Economic Development Corp., it will be leased by an ownership group to Consolidated Nuclear Security — the government’s managing contractor at Pantex and Y-12. CNS said it had received approval from the National Nuclear Security Administration to negotiate the lease. The initial lease term will reportedly be for five years, with multiple options for the future. CNS spokesman Jason Bohne declined to provide a cost estimate on the project. Roquemore also declined and said some aspects of the deal are still under discussion, such as whether CNS will put in furniture and fixtures and equipment and pay for other aspects. Roquemore said the ownership structure is similar to one used for the Y-12 facilities several years ago. “The reason we chose that model is it results in the lowest interest costs and lowest rental payments to the government,” he said. Michelle Reichert, a top executive with Consolidated Nuclear Security, said the project will address the aging infrastructure at Pantex — located about 17 miles east of Amarillo, Texas. It will provide office space for about 1,100 of the plant’s employees and will include a conference center, cafeteria, health-and-fitness facilities, and a visitor’s center. This entry was posted in CNS, Pantex, Y-12 on June 20, 2016 by Frank Munger.